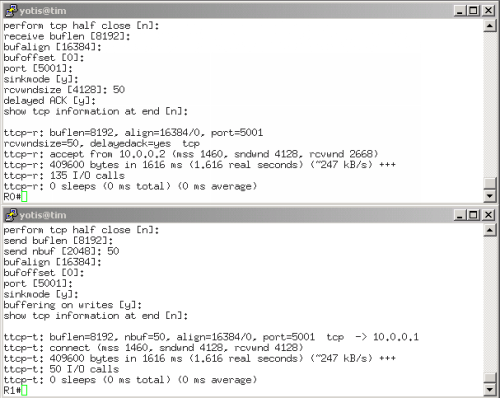 Sometimes you have a connection between 2 routers that you want to test with something more than a ping. 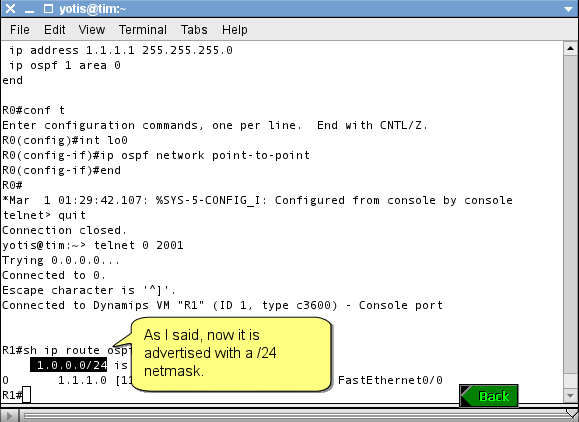 Cisco devices have a hidden command which is actually a very powerful testing tool for your TCP connection. The command is “ttcp” and you will not find it in the the default list of commands of a Cisco device. So, even if you use help ( “?” mark at the router prompt) this command will not be showed to you. For our testing we will use the same topology as in the previous posts. If you do not have it please download it here. Since this is a point-to-point TCP connection testing we will not use any fancy routing protocol or other networking protocols. During my CCIE R&S preparation for lab exam, I encounter a task that requested me to advertise a subnet into OSPF routing protocol, but without using network statement or redistribution command. Since back then I was a little confuse about this, I said to post here maybe it help others. Please download the topology used in this example here. 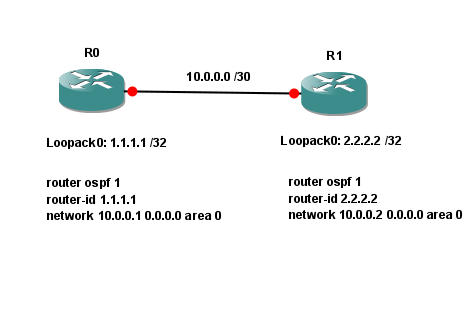 We have already OSPF prepared and the task request to advertise interface Loopack0 from R0 to OSPF without using network statement or redistribution command. Most of you already know that in Dynamips after a reload of a switch all the vlans and vtp configurations are gone. There is a way how to save the vlan and vtp configuration even in case of a reload of the switch and I will show you below how to do it. For switch emulator I used a Cisco 3640 IOS image with a NM-16ESW module to have Layer 2 port on the device.